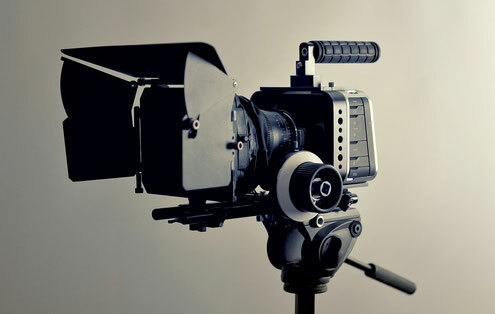 MICRO BUDGET FILMMAKING - Schedule - antoniocudemos Webseite! “When I have more money on the next film, I’ll be able to…”, how many times have I and I’m sure you heard that. I’ve shot last year my feature film debut. It’s a 97 minutes, drama - thriller, shot in 15 days, with micro budget. What’s micro budget? A micro budget film is, when it’s made on an extremely low budget, sometimes as little as a few thousand dollars. For example 1992 film El Mariachi, from director Robert Rodriguez. $7000 budget. And despite this, it was a success both critically and commercially, and started the young director's career. Or Slacker, a 1991 comedy-drama film written and directed by Richard Linklater, was produced for $23,000. Clerks was written and directed by Kevin Smith for $27,575 in 1994 which he paid for on his credit card and grossed $3.2 million in theatres. In 1998, Christopher Nolan's first film Following was filmed on a budget of £3,000. And a list like that, is not complete if we don’t mention Paranormal Activity. 2007 horror film written and directed by Oren Peli, was made for $15,000 and grossing about $193,355,800 worldwide. So one thing I’ve learned, is to try to reduce everything to the barest minimum. The less equipment you have, the less there is to go wrong or go missing. With less equipment, you need less people And there’s less to organise. It’s great if you can efford a big cast and crew. But these days, you can make a movie, with as little as one person in the crew. That would be you. We had around 10 people in our crew. For a micro budget film, it’s more than enough. So for a micro budget film, the more prepared you are before hand, the less time you will have to spend during the shoot repairing the bad organisation. I’ve worked on numerous projects as a first assistant director. I’m used to organise and keep everything moving. That helped me a lot on my feaure film debut. Because whilte filming, you really wannt to think and focus about the story. So to have an AD who is organised and helps, same goes for the producer is very important. One of the most important thing is your schedule. How many days? How many nights? How many location moves? There are programs like Movie Magic for the professionals. We worked at school with that, so I still had the software to use. But you can make a schedule in excel or other programs like, Google sheets and Google docs. It’s free. While you schedule, do a break down of your screenplay and re-examine whether everything in the script is absolutely necessary. It forces you to be creative and think about, what you really need and if you’re able to do it in a cheaper way. I wanted once to shoot in Los Angeles in a parc, where a couple would meet. But only for the permit, it would have costet me $ 1500/ day. We really wanted to shoot in that parc, because of the downtown view. But ultimately we shot somewhere else for free and saved $ 1500 like that.